If you are looking for McKinney SEO services, then you have come to the right place. While things may be going well in your business, you've probably decided that you need more clients or customers for your products and services. The problem? Your website may not be ranking well in Google or at least not as well as it should be. The good news? McKinney, Texas is a great city to be doing business in with all of the great developments going on here. It seems like we've been under construction for the past 10 years with all of the growth. The downside is that many other business owners are looking to take advantage of the same opportunities. That's where great search engine optimization comes in. It gives you the ability to shine above your competitors by appearing higher in search engine results, so that prospective customers visit your website instead of your competitors. That means new business. 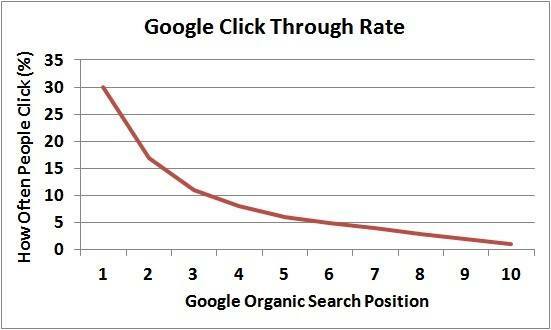 From the graph, we can see that ranking in position 1 gives you about 30% of clicks compared to the other positions, and the performance falls off fast. Slots 1-3 are the best, and your goal should be slot 5 minimum. If you are ranking past slot 10, you might as well be invisible. 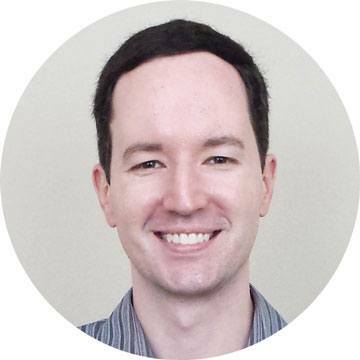 If you are currently ranking at slot 10, which is around 2% or less of clicks, then if you improve and rank at slot 1, you will get a boost of traffic that is over 15 times bigger! That's a lot of new business. Howdy, I'm Mike. If you have any questions, I'd be glad to answer them for you. Call me or schedule a strategy session below. The catch? Great quality SEO is difficult because there are many ranking factors. It takes expertise, a lot of work, and time. You should think of SEO as a long term strategic effort where you invest over the course of at least 6 months to a year before you can get your money back with new business. Because it takes a while, many businesses either decide to go with pay per click ads, like Google Adwords, or they decide to take risky shortcuts by relying on cheap tricks to get higher in search results. Pay per click ads are a great way to add additional traffic to your website during prime seasonal times throughout the year, but it's not the best choice when it comes to primary traffic. Why? People click on real organic search results much more than they click on ads. That means if you rely only on pay per click, you can only get a small sliver of the overall total searches, since people prefer real organic results. For those businesses that go with dirty cheap tricks to rank higher quickly, they are in for a rude awakening when their website gets penalized and they lose all of their organic search visitors. Ouch! Luckily, Empowered Owl has got you covered. We specialize on high quality SEO so that your business can depend on building a long term strategy that will get you new customers. Plus, we are local so that we can sit down with you in person any time you want. We are part of the community. If you like what you see and you are ready to jump on a call for a strategy session to look at what we can do for your business, simply click the button below to schedule the perfect time for you. That's a great question. What we do is follow Google's website guidelines so that the businesses that we help can always rest easy that they are using methods that are encouraged by Google to be a good citizen of the internet community. It all starts with keyword research. We take a look at how people are searching for your products and services so that we can either re-align your website to search demand, or create new pages on your website to help new customers find you. Next, we focus on doing proper on-page optimization so that search engines love your website content. Not only do we make your content look great to search engines, but we also optimize it for your customers so that they are much more likely to buy from you. Another big factor is creating relationships between your website and other websites in your particular industry. The goal is to create great content and also let other websites know about it so that they find it valuable enough to link to it from their websites. It's amazing how great results on search engine rankings resemble how you do business in the real world by offering fantastic products and services, and by others talking about them. One advantage that we offer is being a local SEO company in McKinney, TX. We love coming to your business office and sitting down with you to make sure that you fully understand the process and how to track results. We are great with small business SEO and can help you grow into a much bigger market. Another advantage is that we focus on the high quality end of service, where we only use safe and encouraged techniques by Google so that your business stays healthy online. As a reminder, there are no guarantees in SEO. Anyone that gives a guarantee is either not telling the truth, or is using risky short term techniques that can get your business in trouble. What we do is look across our clients performance and inform you what we have seen in the past. Also, not to be too obvious, but you most likely found this page by searching in Google and we showed up high on the search results. This page ranking high brought you here. Typically, industry average SEO results that are good are around 2.7x in return on investment. While we always strive to get above 5x results. During a strategic session with us early on, we take a look at what might be possible for your business and then discuss expectations with you so that you can make the final decision on whether it's the right fit for you. If you want to explore getting SEO services for your business, simply click on the button below to set up a strategy call session. Don't worry, it's free. On the call, we will talk about your business and go through any questions or concerns that you have.